PediPlay staff was spending too much time with their cumbersome encrypted email provider and needed a way secure their emails that required less work. 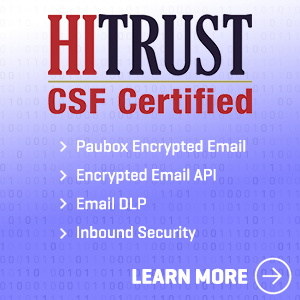 Utilized Paubox Encrypted Email to reduce their staff and partner’s time sending secure email, allowing staff to focus more on providing quality pediatric care. PediPlay offers pediatric therapy and early intervention services specializing in feeding, motor, language, developmental, social, and sensory challenges. Created in 1987 by Barb Blain, a Pediatric Occupational Therapist, PediPlay serves the community for any pediatric therapy needs. At PediPlay, “It’s all about your child!” To ensure proper care and treatment for children, PediPlay are in constant communication with parents, primary care physicians, and other communication partners. 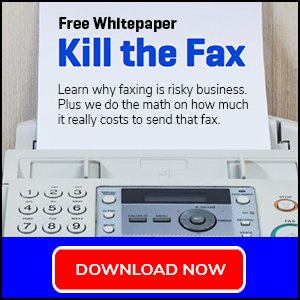 However, according to Barb Blain, the Director and Owner of PediPlay, their previous email encryption method was a hassle. Every parent wants the absolute best for their child. 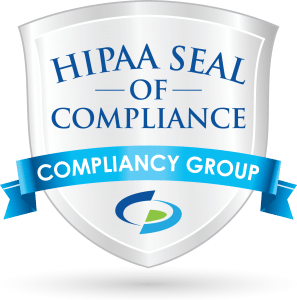 PediPlay was determined to find a HIPAA compliant email solution that could fit that rank to secure the PHI of their young clients. PediPlay needed a user-friendly email encryption solution to give their therapists more time to focus on the children instead of making sure an email was encrypted. Most importantly, they needed an email encryption vendor who is trustworthy, has “absolute security”, and is responsive. After performing research on a variety of websites and comparing competitors, PediPlay found exactly what they were looking for. When PediPlay implemented Paubox, many of Barb’s staff felt relieved. “Having an easy to use and administer system with excellent customer service and full confidence in our secure transmission of sensitive data keeps the office staff focused on their work, not worrying about safe, secure email delivery,” Blain shared. ​Barb and her staff appreciated Paubox’s attentiveness to making sure every PediPlay email account was migrated successfully. Paubox is meticulous with our onboarding process, making sure the client knows each step of the process and working with them every step of the way. Thanks to Paubox’s seamless email encryption, PediPlay’s therapists are free to focus on the most important job: helping children. “Our therapists can spend their time on changing lives, not working on coding communication so it is unidentifiable,” Blain added. Paubox’s email encryption allows you to send encrypted emails like ordinary emails. There is no additional time spent opening a portal, entering a password key, and retrieving the encrypted information. Paubox’s seamless nature eliminates any need to spend time training your staff on how to use Paubox. Paubox’s user-friendly email encryption has opened up a lot more time for PediPlay’s therapists. And thanks to this extra dedicated time, PediPlay have gained new clients in their program. “Thank you for a great experience and responsive and congenial interactions each time we interact with the Paubox team,” Blain shared. PediPlay, LLC is a home clinic that aims to provide top quality, evidenced based therapy services. Their mission is to partner with families and clients in order to establish goals and treatment plans that facilitate independence and full participation in preferred home and community activities. PediPlay is based in Indianapolis, Indiana.